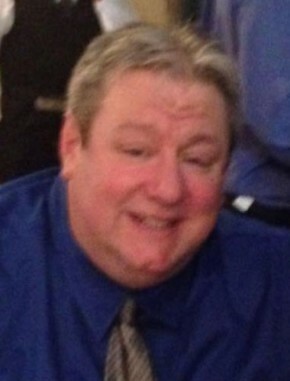 John J. Overmars, age 58, of Fair Lawn, NJ passed away on Wednesday, March 27, 2019. Born in Bronx, NY and raised in the Bronx and Fair Lawn, NJ, he resided in Fishkill, NY for 20 years before returning to Fair Lawn. He earned an Associate’s Degree in hotel and restaurant management from Bergen Community College in 1981. He was a parishioner of St. Anne R.C. Church in Fair Lawn. An active member of his community, he served with Tarrytown Volunteer Fire Department on Consolidated Engine Company #77 and volunteered as a football and baseball coach for his kid’s teams in Fishkill, NY. John enjoyed meteorology and weather phenomenon. He was a banquet manager with the Culinary Institute of America in Hyde Park, NY. Loving and devoted father of Ashley, Anthony and Kevin Overmars. Beloved son of John and Muriel (Panfilowitz) Overmars. Dear brother of Michael Overmars, Susan Payne and Krisann Guy and husband Edward. Former spouse of Colleen (Scogna) Overmars. He is also survived by many loving nieces and nephews. The family will receive relatives and friends Sunday, March 31, 2019, 2-6 pm at Vander Plaat-Caggiano Funeral Home, 13-31 Saddle River Road, Fair Lawn, NJ. A Funeral Mass will be held Monday, April 1, 2019, 10:30 am at St. Anne R.C. Church, 15-05 St. Anne Street, Fair Lawn, NJ. Cremation will be private. Anthony and family, There are no words to express our condolences. The short time that we met and hung out with your dad. He was such a wonderful person. I loved they he made us feel. He was so inviting and so open. Our thoughts and prayers for you and your family. May your dad rest in peace. Please know we are here for you any time. God bless you and your family during this difficult time.